Your inner history buff will appreciate Île de la Cité and Arc de Triomphe. Le Marais and Cathédrale Notre-Dame de Paris are good opportunities to explore the local culture. You'll find plenty of places to visit near Paris: Versailles (Le Grand Trianon & Palace of Versailles). Next up on the itinerary: shop like a local with Champs-Elysees, contemplate the waterfront views at Seine River, examine the collection at Musee Rodin, and enjoy breathtaking views from Eiffel Tower. To find maps, traveler tips, where to stay, and more tourist information, go to the Paris trip builder app . If you are flying in from United States, the closest major airports are Paris-Orly Airport, Charles de Gaulle International Airport and Paris Beauvais Tillé Airport. 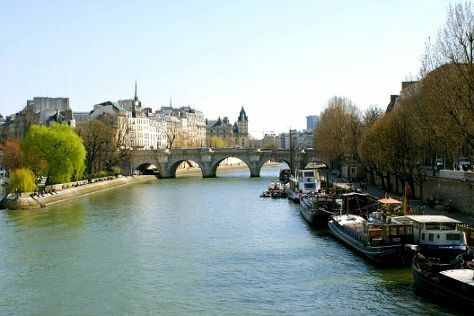 In May, daytime highs in Paris are 64°F, while nighttime lows are 49°F. Finish up your sightseeing early on the 24th (Fri) so you can travel back home.